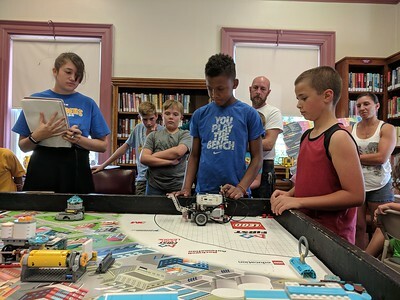 Leah McDonald - Oneida Daily Dispatch Team Batbot's Jackson Krol, 12, left, and Jacob Higgins, 10, take part in the Oneida Public Library's Lego robotics summer camp on Friday, Aug. 24, 2018. 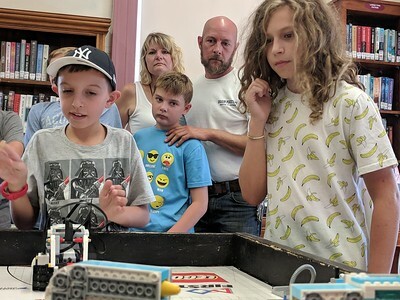 Leah McDonald - Oneida Daily Dispatch Gabriel Stone, 11, shows off a Lego robot that won first place at a recent Robot Riot competition. 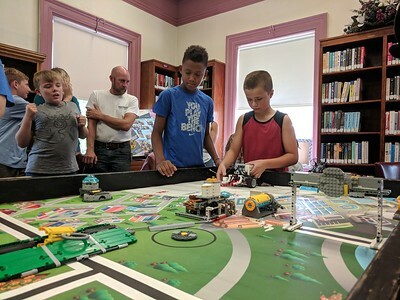 Leah McDonald - Oneida Daily Dispatch Gabriel Stone, 11, right, and Roland Kohler, 11, talk about their Lego robots on Friday, Aug. 24, 2018, at the Oneida Public Library. 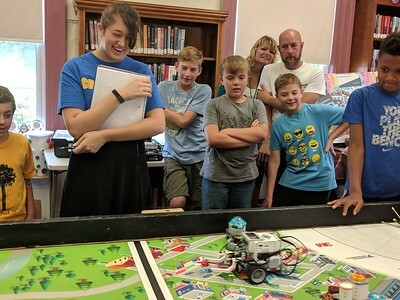 Leah McDonald - Oneida Daily Dispatch Roland Kohler, 11, sets up a Lego robot at the Oneida Public Library on Friday, Aug. 24, 2018. 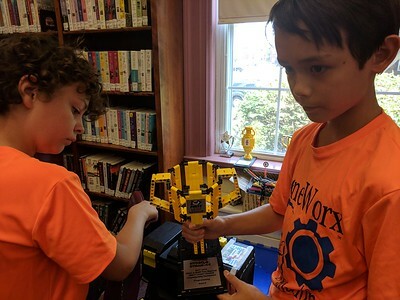 Leah McDonald - Oneida Daily Dispatch Roland Kohler, 11, shows off a trophy his team recently won. 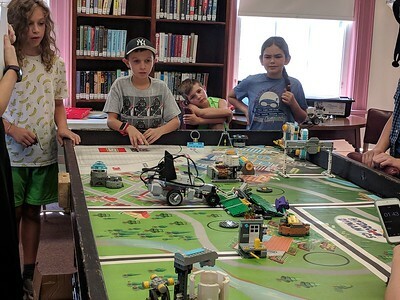 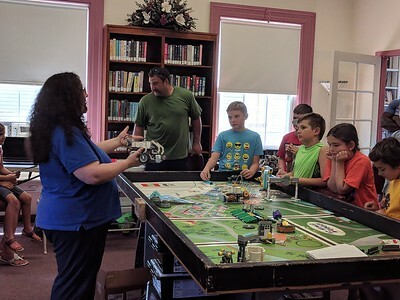 Leah McDonald - Oneida Daily Dispatch Coach Tandi Pough explains how students program and build their Lego robots at the Oneida Public Library on Friday, Aug. 24, 2018. 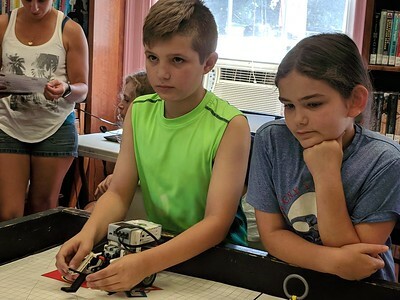 Leah McDonald - Oneida Daily Dispatch Jacob Higgins, 10, left, takes a practice run with his robot while Sullivan Tifft, 11, watches at the Oneida Public Library on Friday, Aug. 24, 2018. 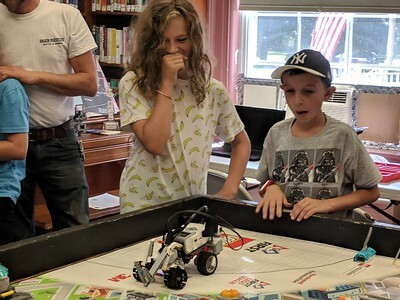 Leah McDonald - Oneida Daily Dispatch Team Goofball's Robbi Davis, 11, left, and Sullivan Krol, 10, take part in the Oneida Public Library's Lego robotics summer camp on Friday, Aug. 24, 2018. 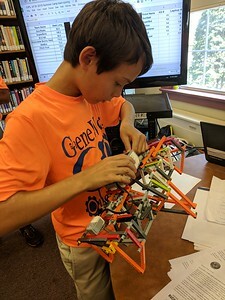 Leah McDonald - Oneida Daily Dispatch Team Goofball's Lego robot tries to lift a pipe during the Oneida Public Library's Lego robotics summer camp on Friday, Aug. 24, 2018. 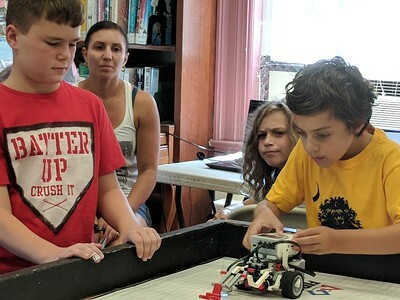 Leah McDonald - Oneida Daily Dispatch Team Goofball's Sullivan Krol, 10, sets his robot's commands during the Oneida Public Library's Lego robotics summer camp on Friday, Aug. 24, 2018. 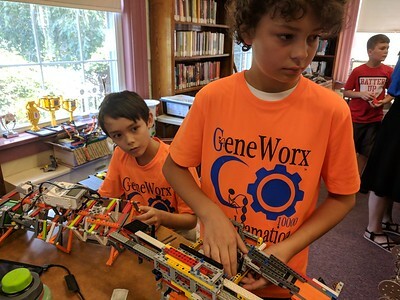 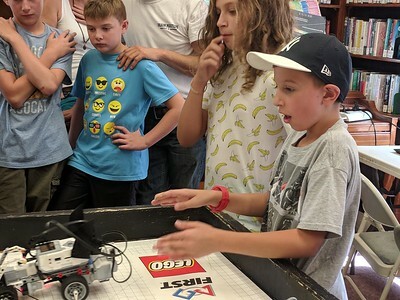 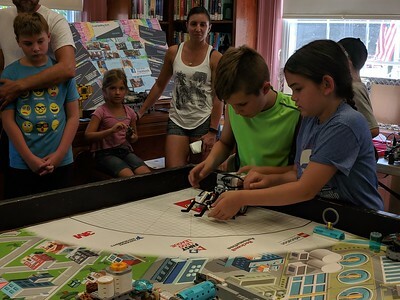 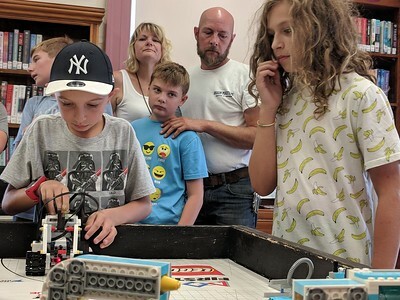 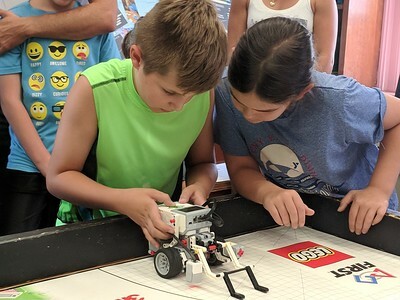 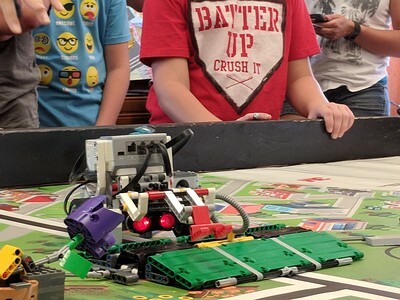 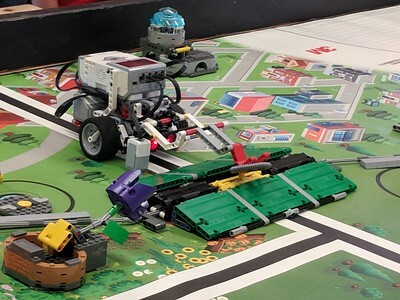 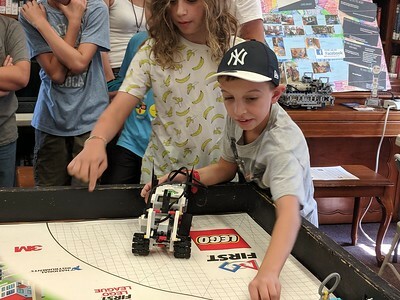 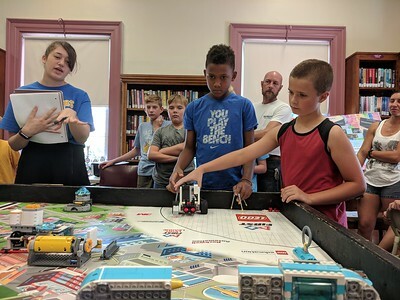 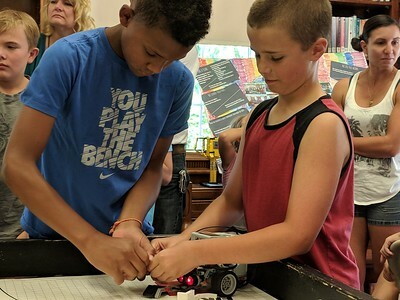 Leah McDonald - Oneida Daily Dispatch Team Super Bot's Daunte Bocheyie, 11, left, and Tyson Fuller, 11, take part in the Oneida Public Library's Lego robotics summer camp on Friday, Aug. 24, 2018. 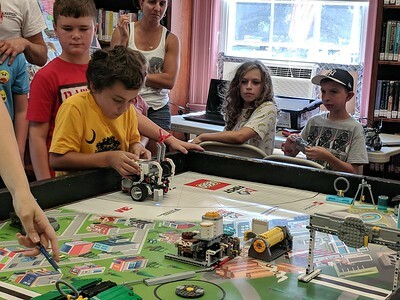 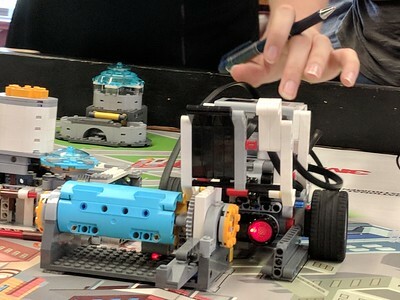 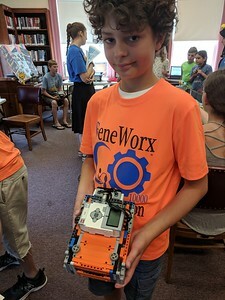 Leah McDonald - Oneida Daily Dispatch Team Super Bot's Lego robot moves a lever into place during the Oneida Public Library's Lego robotics summer camp on Friday, Aug. 24, 2018. 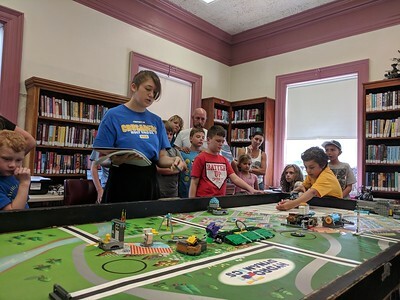 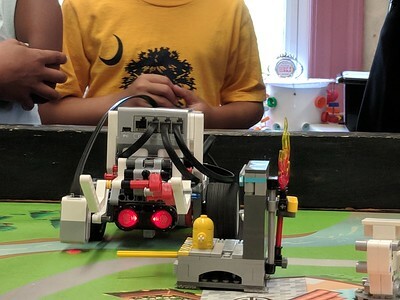 Leah McDonald - Oneida Daily Dispatch Team Super Bot's Lego robot pushes a lever to put out a fire during the Oneida Public Library's Lego robotics summer camp on Friday, Aug. 24, 2018. 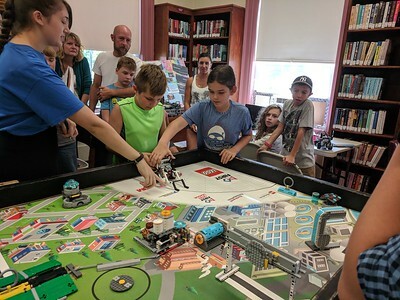 Leah McDonald - Oneida Daily Dispatch Team Super Bot's Lego robot makes its way across the table during the Oneida Public Library's Lego robotics summer camp on Friday, Aug. 24, 2018. 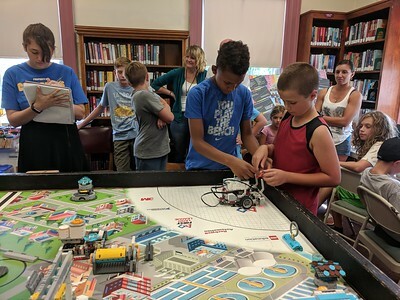 Leah McDonald - Oneida Daily Dispatch Team Chocolate Bunny Rabbits' Kai Jones, 10, and Irene Barris, 9, take part in the Oneida Public Library's Lego robotics summer camp on Friday, Aug. 24, 2018. 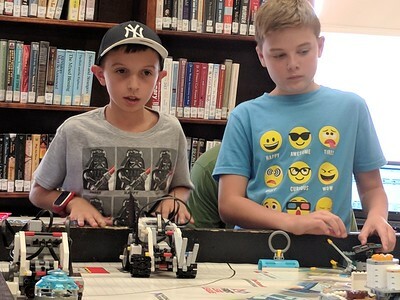 Leah McDonald - Oneida Daily Dispatch Team Batbot's Jackson Krol, 12, right, and Jacob Higgins, 10, take part in the Oneida Public Library's Lego robotics summer camp on Friday, Aug. 24, 2018.